One of the most memorable midterm elections in recent history has passed. Here’s what we know. The midterms turned out largely how they were expected to, with some important exceptions that made waves. D.C. for the next two years will be interesting to watch. With a Republican Senate and a Democratic House, it might be challenging, but that doesn't mean bipartisan legislation won't happen. Among the races that generated a lot of attention, Democrats have a lot to be excited about, especially in California. Gavin Newsom is the Governor-elect for California. For the first time in almost 30 years, a succeeding California governor is a member of the same party as their predecessor. In years past, the governorship has gone Republican, Democrat, Republican, Democrat etc. Dianne Feinstein kept her seat in the Senate, winning a fifth full term, by over 500,000 votes. In hindsight it was a race that ended closer than was initially anticipated. This race went all over the place throughout the night. Going into Nov. 6, Feinstein was expected to win by a large margin, but Democratic state Sen. Kevin de León, who ran an even more progressive campaign then Feinstein, began to creep closer and closer. He proved to be Feinstein's first real competition in years, begging the question, what are de León's next steps? In terms of state politics, de León now has his foot in the door. Seats across California could be open to him in 2020. A mayoral position could be his next job interview, especially with the name recognition this election has brought him. Speaking of young progressives, there were big hopes for Southern Democrats that all ended in disappointment for the party. The three rising star candidates in the South all lost their races, although the margins were close and could allow these candidates — all under the age of 50– to preserve their future political options. In Texas, former Rep. Beto O'Rourke (D) failed to unseat Republican Sen. Ted Cruz, losing by 2.6 points. In Florida, Democratic candidate for governor Andrew Gillum lost to former Rep. Ron DeSantis (R) by a little over 40,000 votes — fewer people than the entire USC student body. In Georgia, Stacey Abrams (D) has refused to concede the governor's race to Brian Kemp (R). She said she plans to wait until every single vote is counted and hopes for a runoff to take place next month. The Democrats won back the House. What remains outstanding is the size of their majority. California has many more votes to count, by our estimates around a million, but already is sending more than one Democrat to Congress and possibly more from California's Clinton Districts. These were Republican held Southern California congressional districts that voted for Hillary Clinton in 2016. These were all battleground races, many of them toss-up's here is how (most of them) ended up. In the 49th district, which encompasses Southern Orange County down to Northern San Diego, environmental attorney, Mike Levin (D) will likely replace retiring Rep. Darrell Issa (R). The Associated Press has called the race for Levin. The 25th district is currently the only battleground district that has gone safely blue. Katie Hill (D) replaces incumbent Steve Knight (R) becoming the first Democrat to represent the district since 1993, and the first woman ever elected to Congress in the district. Knight on the other hand, was the last elected Republican Representative in LA county. Knight conceded to Hill earlier this morning. In the 39th district former Ed Royce aide, Young Kim (R), a South Korean immigrant, is currently leading Navy veteran and lottery winner, Gil Cisneros by over 3000 votes. Full disclosure: Cisneros and his wife, a USC alum, have donated to the Annenberg School of Communication and Journalism. In the 48th district, businessman Harley Rouda (D) is favored to replace Dana Rohrabacher (R), unseating one of the longest serving members of the House of Representatives. Rohrabacher has held the seat for nearly 30 years. Rouda leads by a little over 2,000 votes, but vote-by-mail ballots have yet to be counted. Finally, in the 45th district, incumbent Mimi Walters (R) appears to have edged out UC Irvine Law Professor Katie Porter (D). Walters was about 6,000 votes ahead as officials continued to count mail-in ballots. Overall a good turnout and outcome for Democrats in California. However, Senate Democrats lost many of their competitive races, as Republicans strengthened their majority in the Senate. In Indiana, Senator Joe Donnelly (D) lost to Mike Braun (R). In Missouri, Senator Claire McCaskill (D) lost to Attorney General Josh Hawley (R). And in North Dakota, Representative Kevin Cramer (R) ousted Democratic Sen. Heidi Heitkamp. It seemed the trend that Democratic incumbents who voted against confirming Judge Brett Kavanaugh to the Supreme Court, lost, and the one vulnerable Democrat who voted yes, Sen. Joe Manchin (D) of West Virginia, was reelected. However, on Wednesday, Sen. Jon Tester (D) of Montana squeaked out a narrow victory despite opposing Kavanaugh. It was an eventful and fun midterm cycle, and both parties have lots to be excited about, but of course it's far from over. In the following weeks and months, more races will be called, votes will be recounted, and the country will begin to feel the effects of these outcomes. 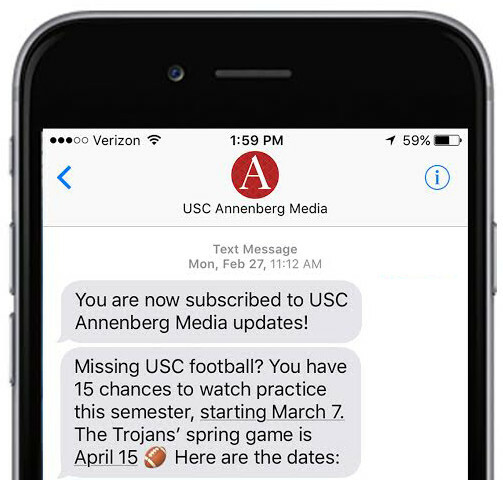 Continue to tune in to Annenberg Media to stay updated through it all. The race for 2020 begins now.